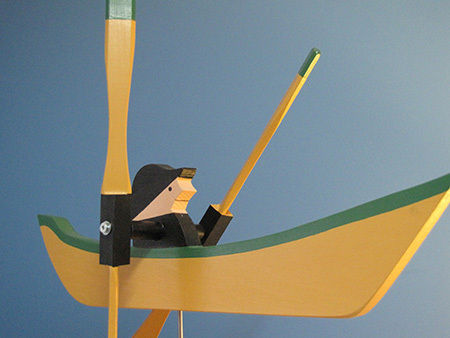 Made by South Shore craftsmen, these whimsical whirligigs make a great addition to a backyard deck or oceanside dock. And holy cow can that little fella’ ever row when the wind kicks up! We have two different sizes 12" long and 18" long. Cost of the small one is $35; cost of the larger is $45. Both prices are plus tax and shipping.